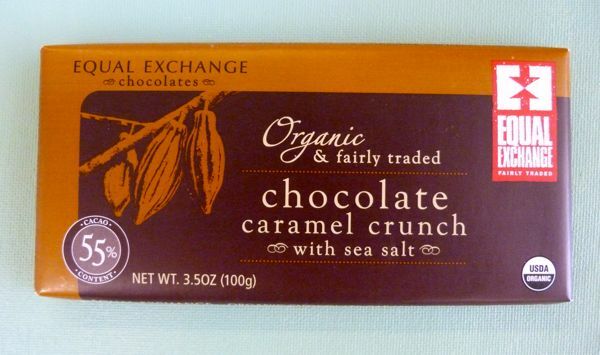 Tasting today's Chocolate Caramel Crunch bar from Equal Exchange (West Bridgewater, MA), made me recall a time when Organic and fair trade chocolate was a new trend, occasionally associated with trade-offs in quality. My how far we've come since that time. 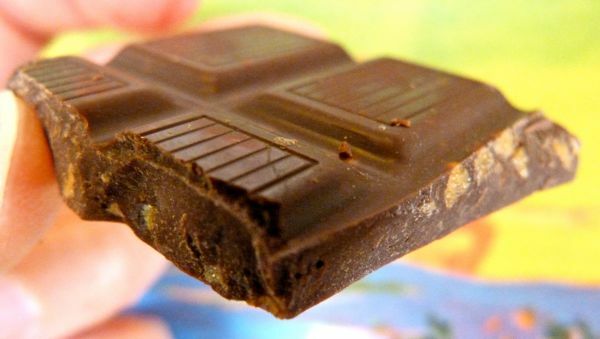 The base chocolate in today's bar contained bright acid/fruit notes and hints of earth and olive as well -- amid tiny, crunchy shards of toffee-like caramel balanced with faint glimmers of salt. This Chocolate Caramel Crunch bar (with 55% cocoa content) was made in Switzerland for Equal Exchange -- marrying time honored process manufacturing skills with great cacao from the Americas. Farmer co-ops in the Dominican Republic, Panama, Peru and Ecuador supply cacao for Equal Exchange bars. Today was Day #3 of Chocolate and Caramel and Toffee Theme Week.